The Kaizen Post is back! We have decided to revive your club's newsletter which reports on previous events as well as having a look at what's coming up for training opportunities and special stuff. 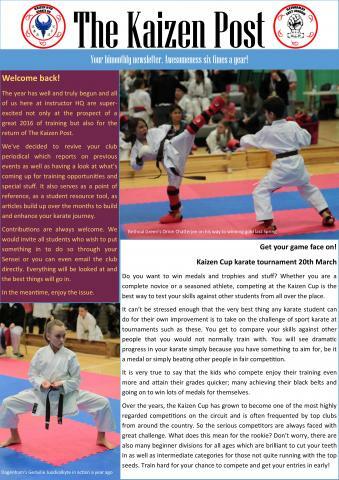 It will also serves as a point of reference, as a student resource tool, as articles build up over the months to build and enhance your karate journey. Happy reading! We hope you enjoy the issue.